Almond milk is the most popular of all the non dairy plant based milks, by far. It has staggering 64% share of the market and its nearest rival (soy) controls only 13% of the market. And many of those buyers are using it their coffee. Nearly two in every three cups of coffee bought in the U.S. in 2017 was a speciality coffee- those espresso based drinks which need the milk to be frothed or foamed. And the coffees which are bought in coffee shops are the coffees which are consumed at home. We may have dumped the cow’s milk in favor of a plant based milk, but we still want the milk to have a great foam and froth. That is why the hunt is on as I look for the best milk frother for almond milk! For those of you in a hurry, here are my top picks. Ready for a science lesson? Any milk can be “foamed” because all milks contain protein. It is the protein that forms a protective layer around each of the tiny bubbles that are created by “frothing” and stops them from bursting. Milks that have a higher percentage of protein create more long lasting and durable foam because there is more protein stopping more bubbles from bursting. Well that is important to but the fat content influences the texture, creaminess and consistency of the foam. The higher the fat content, the better the creaminess and suppleness of the foam. It is also called “stretch” by baristas. My list below contains the most popular dairy and non dairy milks. The figures in bold are the fat content of the milk and the figures in italics are the protein content. And all of this appears to show that almond milk would produce a foam that deteriorates quickly and is not very creamy or supple. This video shows that by sing an electric jug frother, almond milk does froth but just not as much as cows milk. And in this video, the frothing ability of six popular plant based milks was compared. Almond milk was ranked second, behind soy milk but ahead of coconut milk. And finally in this video, almond milk was pitted against coconut milk and rice milk. And the almond milk and the coconut milk frothed up nicely, with the almond milk having nicer smaller bubbles though. There is lots of help and advice that you can find about how to froth almond milk. The most important tips I have included below. The most important thing to remember is the temperature. Always froth fresh almond milk. Reheating previously frothed almond milk might lead to a burnt taste. Froth almond milk straight from the refrigerator. Then gently swirl the milk around in the jug until the surface looks shiny or yoghurt-like. Pour the milk into the espresso from a higher position. 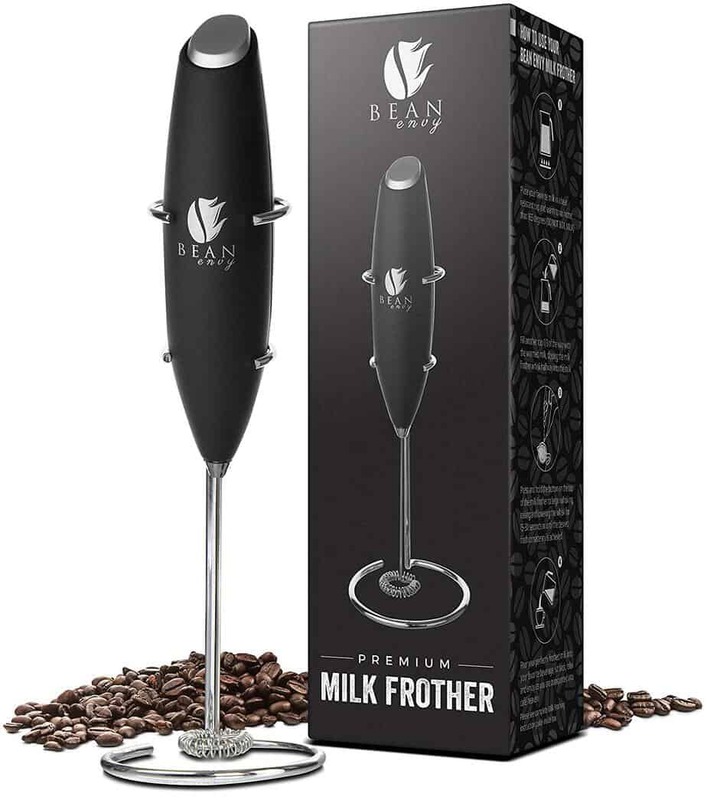 Now that we have discussed different issues relating to almond milk, I want to move on and talk about milk frothers. 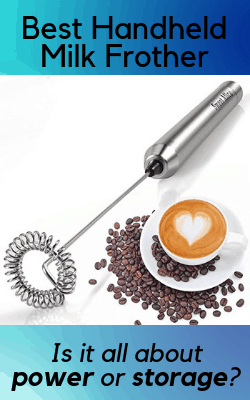 Steam wands are most commonly integrated into many espresso coffee machines. If you want the best possible milk frother for almond milk, then buy an espresso machine with a steam wand built in. Steam wands are the fastest and easiest way to froth your almond milk. They will give you the most control. I have included my favorite one below. 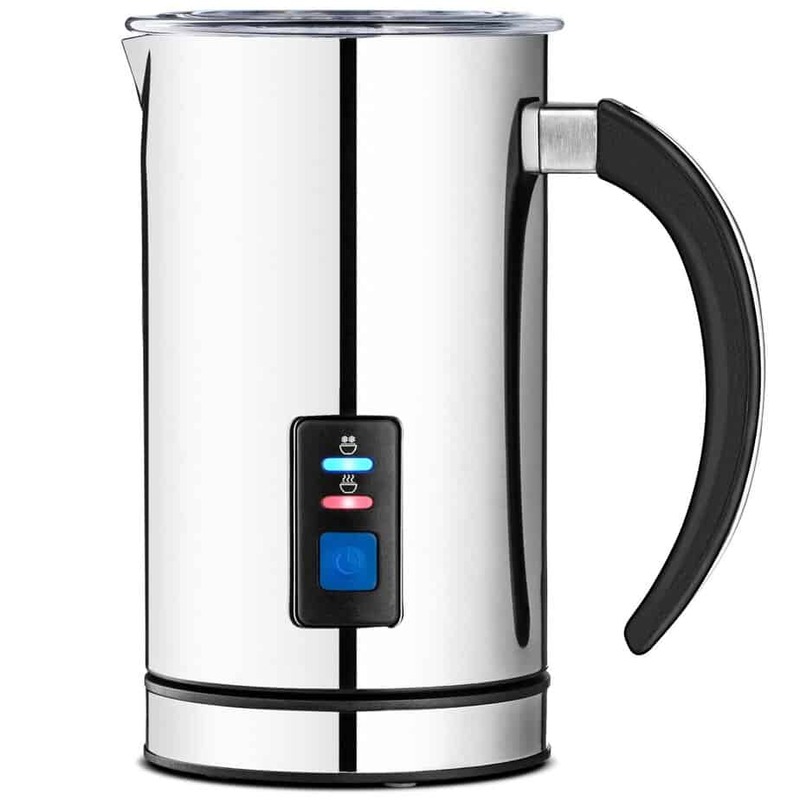 Most electric jug frothers look like hot water kettles. No review of any milk frother could be complete without taking a look at the Souvia automatic milk frother. This is the Ferrari of milk frothers and it has no rival. No other milk frother comes close to the performance and features of it. And what is it like at frothing almond milk? Buyers are very happy at how well it heated and frothed a range of milks, including almond milk. Of course, there is a price to pay for such sophistication and the price is that it is very expensive. If you looked at the Souvia and fell in love (until you looked at the price), then you might like the Secura. The main difference is that the Secura has only half the capacity of the Souvia (250 ml against 500 ml) and it has no temperature control. The Secura heats all milk to the same temperature, which cannot be changed. However, the jug is insulated and so the milk can be kept hot. Looking at the buyer feedback, people are very impressed. However, in return for having fewer features, the Secura Electric Milk has a more reasonable price. If you like the Secura and you want all of its features as well as a “Froth Density” function, then think about the MF-2. Almost identical to the Secura in looks as well as features, the MF-2 boasts a Froth Density gives you more control. The Froth Density function means that at the touch of a button you can choose between hot airy foam and hot dense foam. If you want to check out the price, look at this. Now that we have looked at electric jug milk frothers, it is time to move on and look at handheld milk frothers. Handheld frothers are the cheapest type of frothers. They are small and battery powered. Of the two handheld frothers in my comparison, this one is cheaper. Although the speed of this milk frother is not specified, a quick look at the feedback shows that most users believe that it is more than fast enough. If you buy this, make sure that you have some spare AA batteries at home because it does not come with them supplied. It has a stainless steel shaft to ensure that it stays clean and rust free. Unfortunately, it does not come with a stand. Some buyers could leave it successfully “free standing” upside down on their worktop but others buyers found that it kept falling over. But if you buy it and you don’t like it, it comes with a 60 day money back guarantee. There are 6 main differences between these two handheld frothers. Price: The Elementi is more expensive. Stand: The Elementi comes with a stand, the Match DNA doesn’t. Handle: The Elementi has a soft touch handle, the Match DNA has moulded plastic. Size: The Elementi is taller and wider than the Match DNA. Speed: The Elementi can froth milk in 45 seconds, the MatchDNA takes 60 seconds. Almond Milk: Both devices have fantastic reviews about how great they are at frothong almond milk. Neither frother comes with batteries! There are many reasons why people are switching to non dairy milks to use in their coffee. For some people it might be because of a moral decision such as veganism and for others it might be part of a push to lead a more healthy lifestyle. A third group of people (that includes me) have stopped drinking cow’s milk for dietary reasons, such as being lactose intolerant. Whatever the reasons, there are clearly a huge number of people making this switch. From 2012 to 2017 the U.S. market for non dairy milk grew by 61% with sales of $2.1 billion. By 2024, the global market is set to exceed $34 billion. At the same time, America is drinking more speciality coffee than ever before and espresso based coffees such as cappuccinos and flat whites need their milk froth and foam. Are these two trends compatible? Is it possible to get a non dairy milk to provide the quality of froth that drinkers are used to from using cow’s milk? To start answering this question, in my next section, I will look at what the most popular and biggest selling non dairy milks are. For those of you in a rush, here are my non dairy milk top picks. What Are The Most Popular Non Dairy Milks? There is one non dairy milk that is currently dominating the market and that is almond milk with a huge 64% share. The next two closest are soy (with a 13% share) and coconut with a 12% share. As well as those three popular milks, in this post I will also be looking at rice and cashew nut milks. I will examine several qualities of these milks including their frothing ability and their nutritional value. For each milk I recommend a product to use in your coffee. Let’s start by looking at soy milk. Soy milk only requires soybeans and water. But it is nearly always fortified with calcium, vitamin D and various B vitamins. Of all the non diary milks, this milk most closely resembles cow’s milk in terms of taste and texture. It is possibly closer to full fat milk rather than 2% milk. Without taking a bit of care, soy milk will frequently curdle when you add it into your coffee. Visually this looks disgusting and it can also taste “off”. The milk curdles because of the acidity of the coffee and because the coffee is hot. A way to reduce a coffee’s acidity is to buy darker rather than light roasts. add the soy milk into the cup before the coffee and warm it gently. In a test, shown in this video, soy milk created the best froth of all plant based milks. when frothing, do not introduce too much air into the milk. Pour the soy quickly and evenly into the coffee. Earlier, when I discussed the main ingredients of soy milk, I was focusing on the unsweetened variety. But there are a few different varieties and flavors of soy milk. These include a vanilla flavored variety. Barista style versions of non dairy milks are products that have additives in them to make them easier to froth. There are no barista style versions of soy milk products. 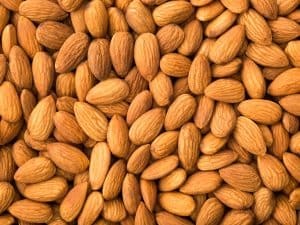 Almond milk only needs to contain almonds and water. But most commercial varieties are fortified with vitamins A, D and E.
And one of the best selling varieties also contains cane juice, carageenan and sunflower lecithin. Almond milk is a very light milk, more like water than cow’s milk. It has a slight hint of nut and a tiny hint of sweetness. Like soy milk, almond milk tends to curdle if it is added to coffee or if it is left “standing” in coffee for too long. The ways to prevent curdling are the same as soy milk and include warming the almond milk before you add it and to froth it. In a test, shown in this video, almond milk created the second best froth of all plant based milks. In order to create the best possible almond milk froth, I have included a few handy hints below. pour the almond milk slowly into your coffee. The Barista version highlighted below, contains ingredients that original versions of this product do not have. These ingredients include locust bean gum and sunflower lecithin which provide the milk with better stretching and frothing abilities. Almond milk comes in lots of varieties. Some people are confused about coconut milk and coconut water. The opaque liquid that sits within a freshly opened coconut is not milk but water. Coconut milk is made from blending fresh coconut with water which makes a thick coconut cream. The cream turns into milk as more water is added. How best to describe the taste of coconut milk? Of course, it has a slight nutty flavor but it also is very fresh, sweet and creamy. Floral is how some people might describe it. Pure coconut milk makes an excellent coffee creamer because of its naturally creamy texture. Like other non dairy milks, it can curdle when added to coffee but it is less likely to do this. One of the most important things to do is to shake your coconut milk container so that the water and cream are mixed together. Other suggestions to prevent curdling include pouring your coconut milk into your coffee over the back of a teaspoon. In a test, shown in this video, coconut milk created the third best froth of all plant based milks. Once again, the key is to not overheat the coconut milk, which means that you will have to work quickly. Barista style versions of coconut milk include additives that help with the frothing process. These include dipotassium phosphate and gum. 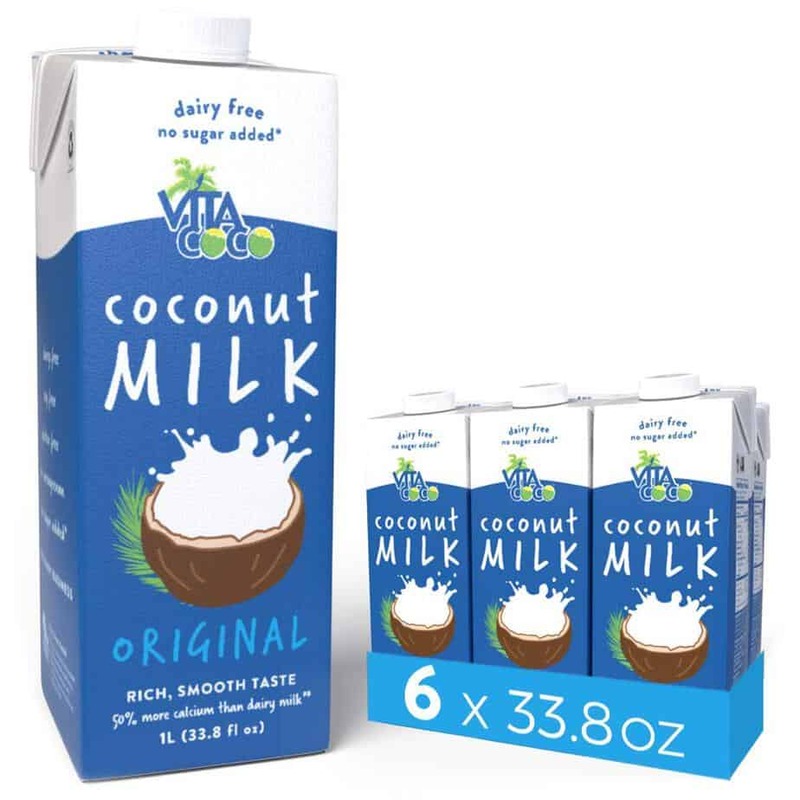 Coconut milk comes in a few varieties but not as many as other non dairy milks. 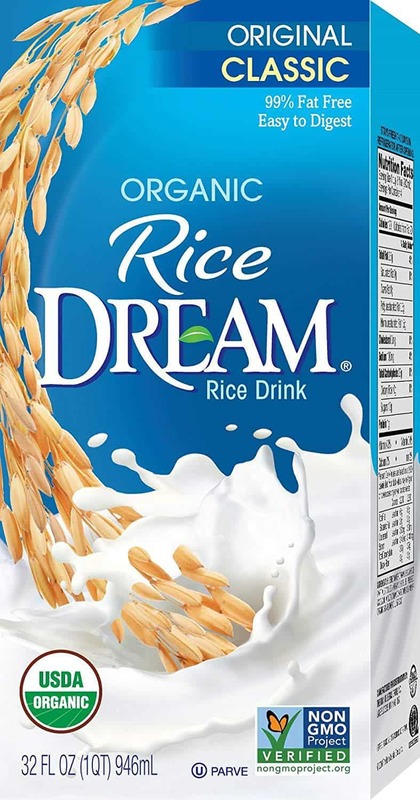 Rice milk is made from mixing brown rice with water. The rice is pressed through a mill and then the pressed grains are separated. And so, just how nutritious is it? Rice milk is much lighter than cow’s milk, closer to water in its consistency. Rice milk is a very pale white color and so it will add hardly any color to your coffee. Because it is so light and “fat free” it will not add a creaminess to your cup of Joe. This person was so disappointed that she won’t put it anywhere near her cup of coffee! In a test, shown in this video, rice milk created the fourth best froth of all plant based milks. I think that the overall message here is…best of luck. Because rice milk has almost no protein in it, it is very hard to get it to froth. This user found that unsweetened original rice milk creates a puffy foam that stands up but it adds no creaminess. These are specially formulated to create a better froth and foam, but they have several extra ingredients that original rice milk doesn’t have. Ingredients include several different gums and sunflower lecithin. 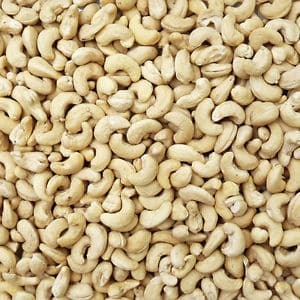 The main ingredients in cashew milk are water and cashew nuts or cashew butter (which is a mixture of crushed cashew nuts and sunflower oil.) . Other ingredients that might be added to enhance the flavor and consistency include sea salt and gum. The flavor of cashew milk is creamy and rich with a nutty flavor that is not as strong as almond milk. The “buttery” texture of cashew nut milk works well in coffee because it is almost like a coffee creamer. In a test, shown in this video, cashew nut milk created the fifth best froth of all plant based milks. It didn’t seem to froth that much at all. However, its natural creaminess will make up in some ways for it’s lack of froth…. There are no barista style versions of cashew nut milk to buy unfortunately. But there is a great video of a homemade cashew nut milk being added to coffee, for you to watch. Cashew nut milk is not as popular as some of the other plant based milks on this list and so there tend to be far fewer varieties and brands. The main ingredients in oat milk are water and oats. Other ingredients that might be added include; cane sugar, sea salt, gum, vitamin A, B2 and D2.